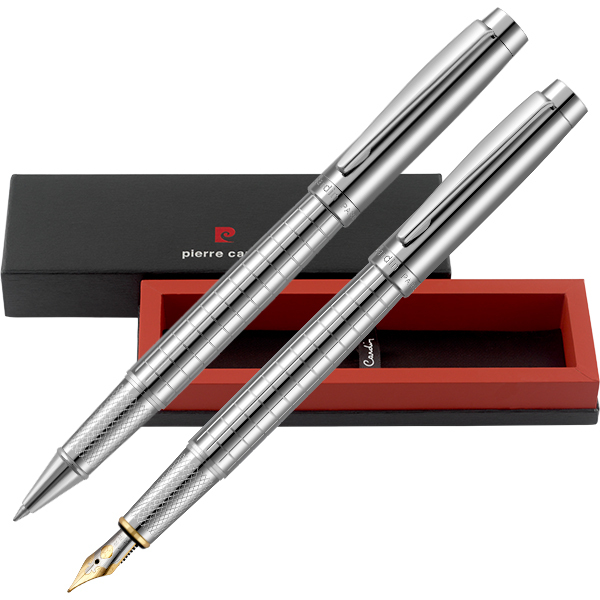 The Montfort Ballpoint Pen and Fountain Pen are classically styled writing instruments that exude elegance and tradition. 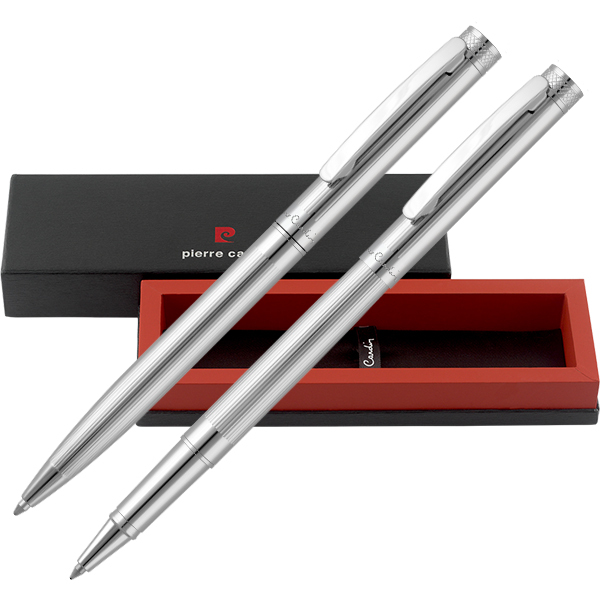 Their brass base metal is finished in precious enamel and complemented by triple-plated chrome trim for a lifetime of enjoyable writing. 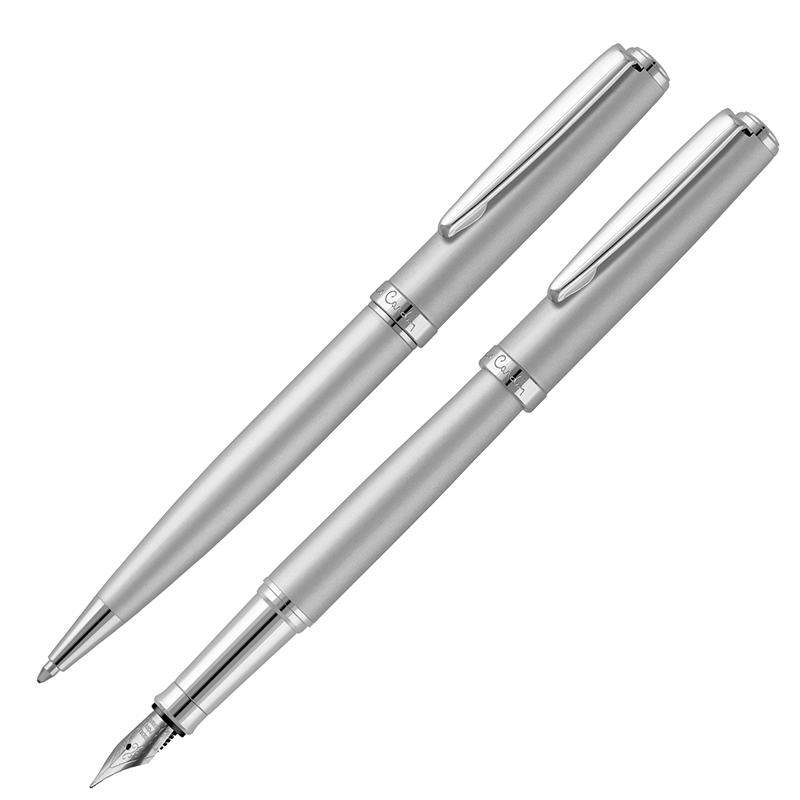 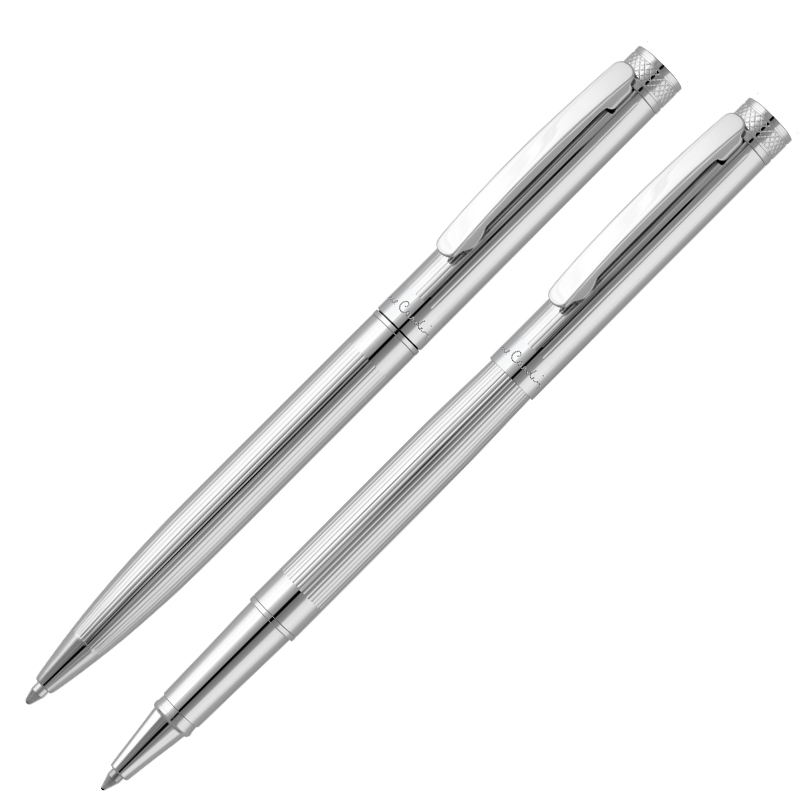 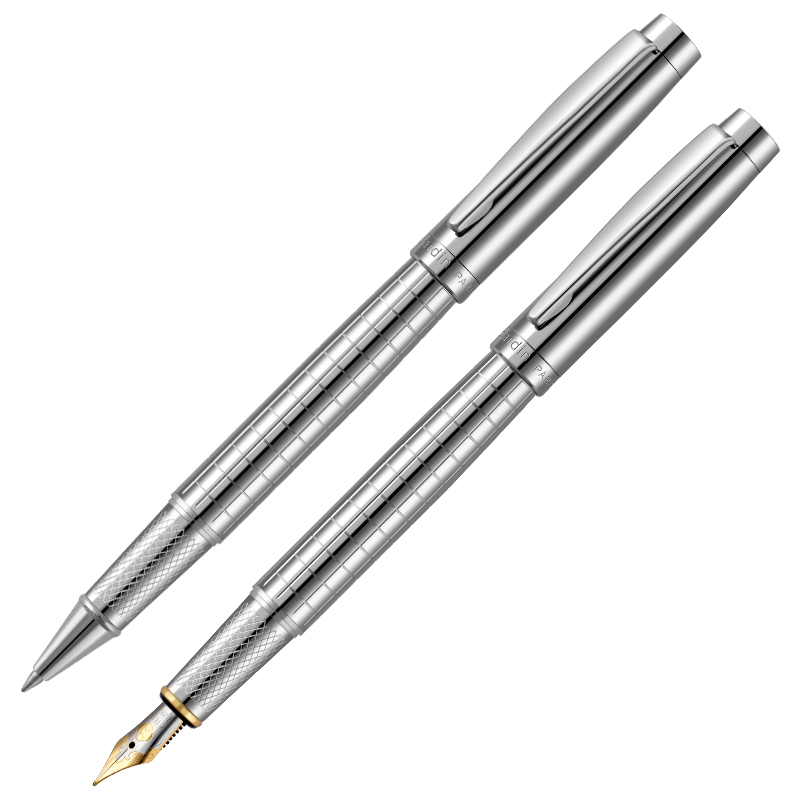 The Montfort Ballpoint Pen benefits from a longcase refill with long-life tungsten carbide tip, while the Montfort Fountain Pen includes a cartridge with either blue or black Dokumental™ ink. 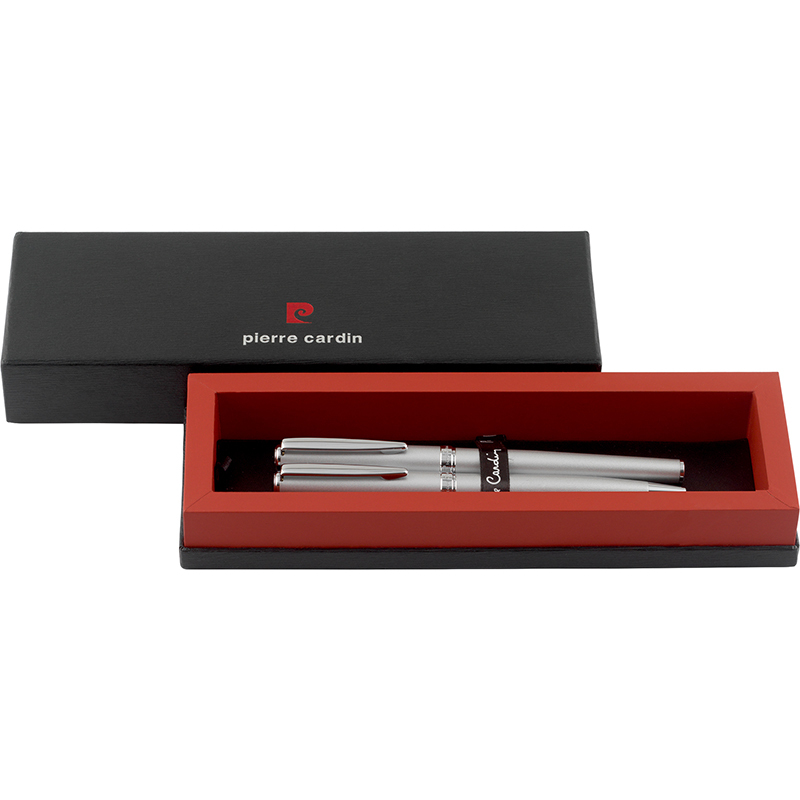 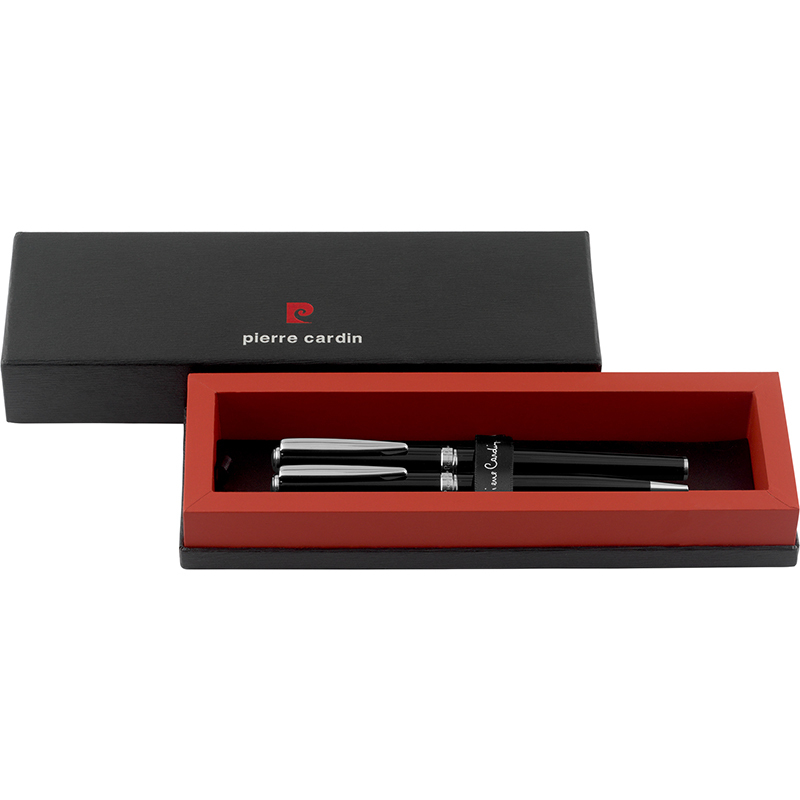 The Montfort Set is presented in the black PB03 gift box with moulded soft-touch interior and Pierre Cardin-branded ribbon – the perfect way to complete an impressive Pierre Cardin gift.